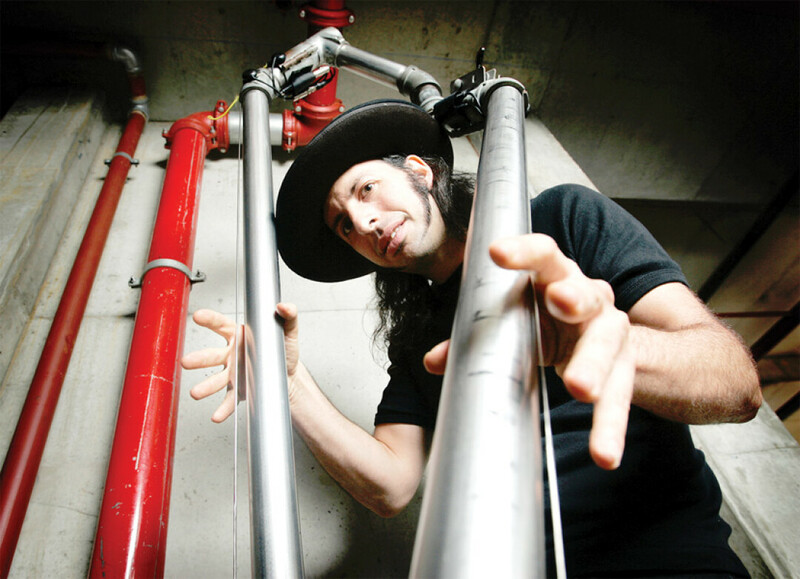 With an amazing track record of unique and imaginative performances featuringhis curious instrument and copious amounts of originality, Mike Silverman aka That1Guy has set himself apart as a true one-of-a-kind talent that rivals any other artist currently in the entertainment industry. Averaging 150-200 shows a year all over North America and Canada, he has been a consistent favorite at such festivals as: Wakarusa, Electric Forest, Big Day out, All Good, Bella, High Sierra, Summer Meltdown, Montreal Jazz Festival, and many more. He was also the Tap Water Award winner at the Edinburgh Fringe Festival for best musical act. Silverman’s backstory is very similar to many musicians that have come before him. He grew up a self proclaimed music geek, soaked in the influence of his jazz musician father, and enrolled in San Francisco Conservatory of Music before joining the local jazz scene himself as a sought-after percussive bassist. This is where the similarities end, though, and where That1Guy truly began. “In my case, being a bass player, I just felt very restricted by the instrument itself,” he says. “I’ve always wanted to sound different and have my own sound. I was headed that way on the bass, but for me to fully realize what I was hearing in my head sonically I was going to have to do it my way”. His influential and innovative double bass style eventually evolved into what we see today as That1Guy and The Magic Pipe. Come celebrate the new year with the incredibly original That 1 Guy at The Filler! Tickets available at Cactus Records and online by following https://selloutapp.com/event/music/that-1-guy-74! Tickets in advance $20 and if available they will be $25 the door. We recommend getting your tickets ahead of time so as not to be disapointed when they sell out.